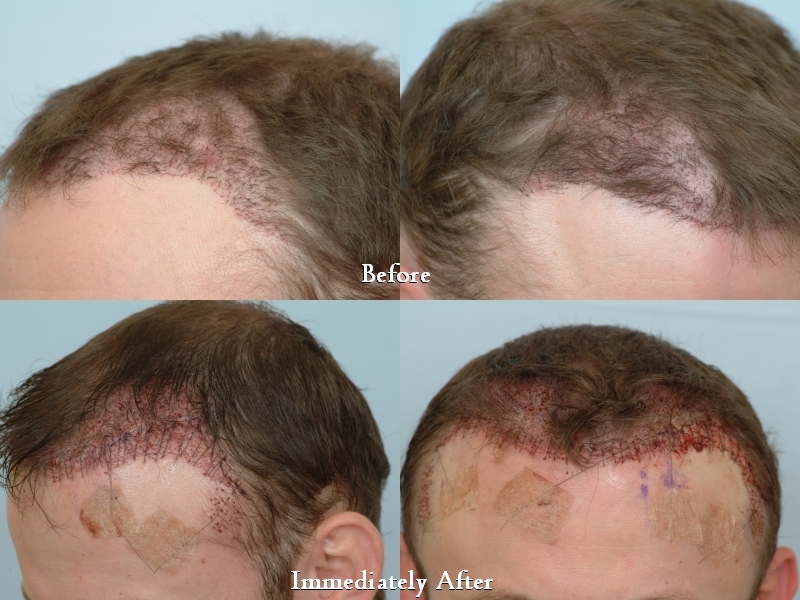 Attached are photos of a patient who had four prior procedures with multiple hair transplant physicians. 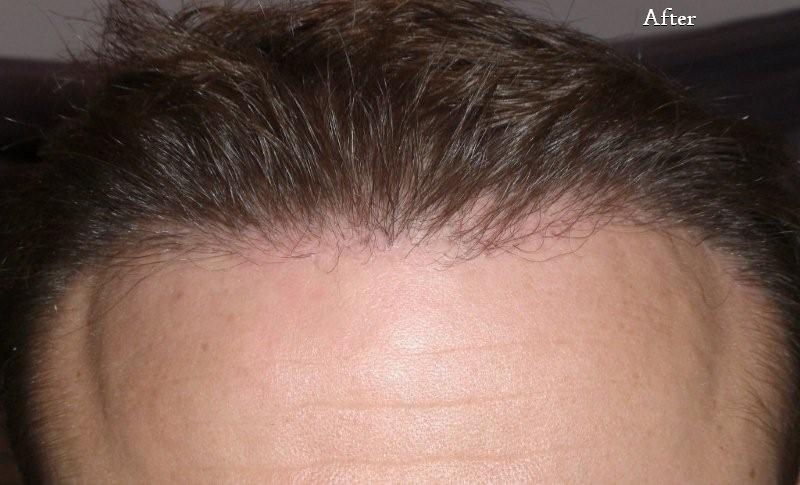 All four procedures were failures and each resulted in more damage to the orientation of the frontal hair line and temple regions. At last, the patient came to us about 6 months ago for corrective surgery and grafting into the strip scar. The patient was treated by approx. 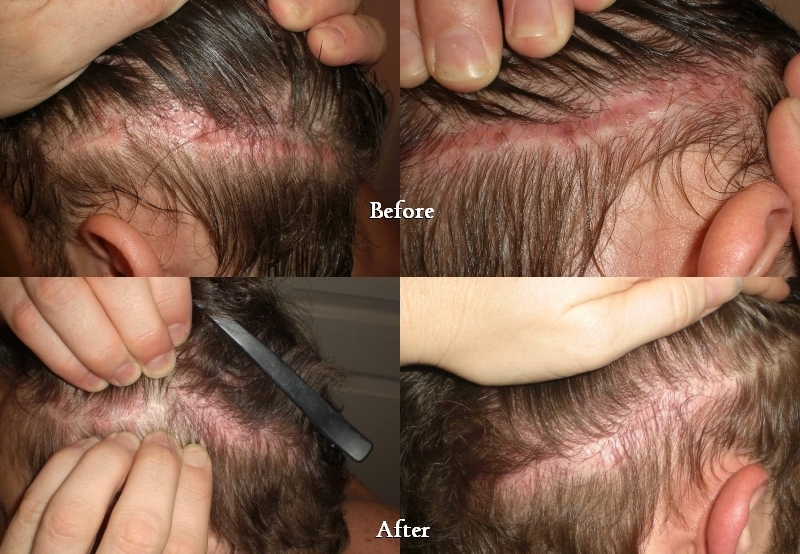 300 CIT grafts into the frontal hair line and the large hypertrophic strip scar. At six months post-op, the growth is ideal in the donor region and the recipient area. The patient has more confidence to wear a shorter hair style and move on with everyday activities. No longer will this patient have to hide under a baseball cap in public places. 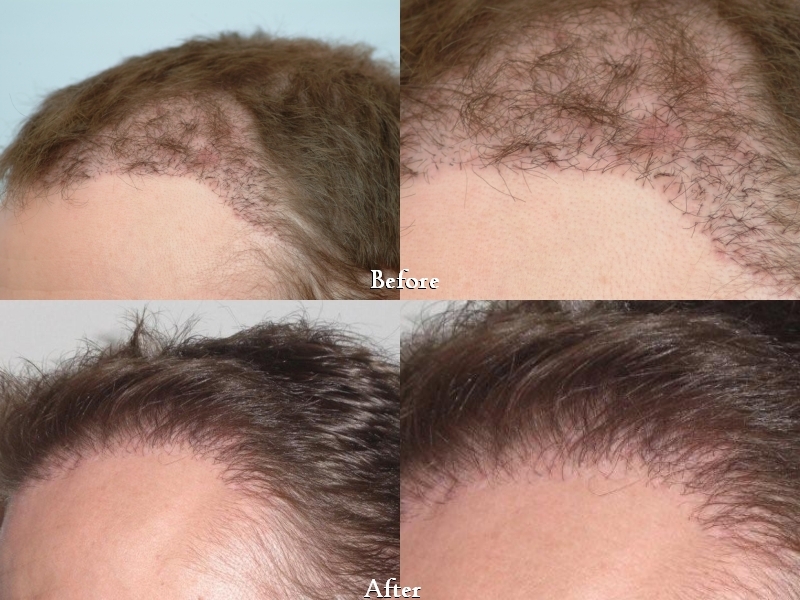 If you take a moment to observe natural patterns of hair loss in men, you will see that each of them has gradual hair line recession and some loss in the temple regions. Our clinic’s objective is to recreate the natural density that once existed.